FIX – Application pool cannot be deleted because it contains 1 applications. Are you getting the error message: There was an error while performing this operation. Details: Application pool “<name>” cannot be deleted because it contains 1 applications? The only way I could figure out how to delete it was using Powershell. Will ask you if you really do want to remove the App Pool. “Hit A for “Yes to all”. ls – This will allow you to verify the AppPool is gone. You can now go back into IIS and verify that the AppPool is no longer there! Microsoft User (Part of Windows 8/10) – Users authenticate against Microsoft servers. In “Profile List”, you will find the SIDs of the computer. The short SIDs tend to be for local users and services whereas the long ones are used for Domains and Windows Users. S-1-5-21 – [Long SID] -> My account. 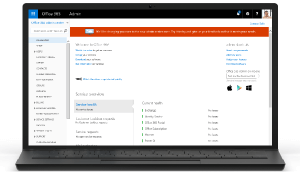 As an Office 365 admin, you may have to delete or restore a work or school account. Once you delete the work or school account, unauthorized people can’t continue to use the account. Deleting the work or school account also frees the Office 365 license assigned to that user. When you create an Office 365 user account, a license gets assigned to that user so they can use certain features. When you delete a user, you don’t lose their data. The user’s data is stored for 30 days. When you restore thework or school account within the 30 days, the user account and all associated data are restored. TIP: Do you want to delete a user on the go? Use your mobile device. Delete a user on the go using the Office 365 admin mobile app. Enter your mobile device number and we’ll text it to you or you can get it from your mobile device’s store. You can re-assign a license without deleting the related work or school account. Check out Assign or remove a license for more info about removing or assigning licenses. Choose the names of the users that you want to delete, and then select Delete or Delete user . On the confirmation page, select Delete. When you delete a user account, the account becomes inactive. However, for approximately 30 days after you have deleted it, you can restore the account and the associated data. IMPORTANT: Make sure you reset the user’s password after you restore the user. Follow the steps in this topic. NOTE: If your organization synchronizes user accounts to Office 365 from a local Active Directory environment, you must delete and restore those user accounts in your local Active Directory service. You can’t delete or restore them in Office 365. For more information about synchronizing user accounts to Active Directory, see Activate synced users. When you restore a user account within 30 days after deleting it, the user account and all associated data are restored. The user can sign in with the same work or school account. Their mailbox will be fully restored, and they’ll have access to all services they previously accessed. NOTE: If you need to find out how much time remains before a particular user account can no longer be restored, contact Office 365 Support. Before you restore a user account, make sure there are Office 365 licenses available that you can assign to the account. Also, when you restore an account, you may encounter conflicts with user names or proxy addresses, which you can resolve. Go to Users > Deleted users. On the Deleted users page, choose the names of the users that you want to restore, and then select Restore users orRestore. If the user is successfully restored, click Close in the confirmation box. 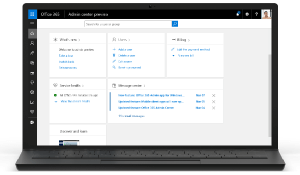 For more information about deleted user accounts and how to restore them, see How to troubleshoot deleted user accounts in Office 365. A user name conflict occurs when an admin deletes a user account, creates a new user account with the same user name (either for the same user or another user with a similar name), and later tries to restore the deleted account. To resolve a user name conflict, you can either replace the active user account with the one that you are restoring or assign a different user name to the account that you are restoring so that there aren’t two accounts with the same user name. Which version of the admin center do you see? On the Deleted users page, choose the names of the users that you want to restore, and then select Restore users. NOTE: If two or more users fail to be restored, an error message advises you that the restore operation failed for some users. View the log to see which users were not restored, and then restore the failed accounts one at a time. If you want to keep the restored account and the conflicting active account, select Edit user name of the user you want to restore, type a new user name, and then select the appropriate domain name. If you want to remove the active account and replace it with the account that you are restoring, select Replace active user with this deleted user. Review the results, and then select Finish. On the Restore page, choose whether you want to have the password automatically generated, or whether you want to create the password. Additionally, you can choose to Make this user change their password when they first sign in. If you chose Let me create the password, type the password in the Password box, and then retype the password. A proxy address conflict occurs when an admin deletes a user account that contains a proxy address, assigns the same proxy address to another account, and then tries to restore the deleted account Follow the steps below to fix this issue. On the Deleted users page, check the names of the users that you want to restore, and then select Restore users. On the Restore User page, if you want to restore the user account and delete the proxy addresses attached to that account, select Submit. NOTE: If a user account contains more than one error that prevents you from restoring it, the Resolve proxy address conflict page displays a Next button instead of a Submit button. Select Next to resolve the error on the next page. On the Deleted users page, select the user that you want to restore, and then select Restore . After you’ve restored a user, make sure you reset the user’s password by following the steps in the Reset a user’s passwordtopic. One of the more frustrating things in Windows is changing an OS key. Open a command prompt using administrative privileges.